1. How to Update the Maps? It is possible to update each set of data separately: Jeppesen, Terrestrial Background or Street maps by downloading them directly from the AvMap Suite. 1. Click on the Map Update button: the Management page is divided into two parts: the left column shows the maps present in the navigator, while the right column shows the purchased maps (downloaded in the PC). For each map it is displayed Name, version and a status light: if the map us still up-to-date the light is green, if the map is obsolete the light is red, and a “Purchase update” link appears. If a download is not completed because of an interruption of the connection, you will find the purchased map in the Map page of the Suite, and you will be able to download it again. 2. After the back up, the “Delete” button will appear next to each map. Click on “Delete” to free space on your SD card. This way the map will be deleted from the navigator memory card, but it will be saved on your PC, so it will be always possible to use it again. 3. In the right column click on the button “Install” next to the newly downloaded map. When the process is complete, the new map should be displayed also in the left column of the page (content of your navigator). ATTENTION: when buying an update, more than one file could be downloaded; in that case it is very important to install all the files for the correct functioning of the navigator. At the end of the procedure all the new files should be displayed also in the left column of the Map management page. 2. Why should I register my navigator? Register your product in order to download for free desktop suite, user manuals, tools, and software updates and to get Customer Support. 3. How to connect EKP V to the Autopilot? EKP V can be connected to the autopilot using the “USB – serial converter cable” . You can find it on AvMap Store – Aeronautical accessories – EKP V.
This cable must be connected to the USB connections of the power cigarette cable. When the device has been connected to the cigarette – USB plug the a window will be shown. The customer has to set “Autopilot” and then “Menu – Tools – Autopilot”. In this menu the customer will can set the interface connections settings in according with the istructions of the autopilot user manual. - Connect the TX pin of our SERIAL SPARE PART (USB-Serial or Docking Station serial when it will be available) to the RX pin of the autopilot. - Then connect both GND (ground) pins together. - To find the correct pins location on the autopilot please refer to the Autopilot User Manual itself. EKP V can be connected to the PC through USB cable, and data can be improted through the AvMap Suite Desktop application. You can explore the contents of your EKP V such as flight plans, User Marks and recorded tracks and save them in your PC in order to share them with friends. You can also add contents from your PC to the EKP V.
The files will be created inside the C:\Documents and Settings\[PC_username]\Documents\EKP V\ folder. You can choose a different destination folder in the Settings menu, in the “Destination Folders” page. AvMap suite allows to export/import your flight plans to/from the PC so that you can view them on Google Earth or many other Flight Planning software, and share them with friends. The supported formats are .gpx (Google Earth) and .fdx (Seattle Avionics Voyager). 3. Click the ‘Export to Pc’ button, you will see two the files appearing in the right column: the flight plan will be saved both in .fdx and in .gpx format to your PC. You can select all the flight plans by clicking on the checked box below the left window (deselect all by clicking the unchecked box below the left window). 2. Click the ‘Import to Pc’ button and you will see the file appearing in the left column. The Flight plan will be imported to your EKP V and will be immediately available in the FP page of the unit. 5. How to update the software? In order to update your EKP V Software, get the AvMap Suite! The AvMap Suite is a PC application that helps you keeping your EKP V up-to-date, managing maps and sharing contents. AvMap releases periodically free software updates for its navigators. Keeping your EKP V Software up-to-date is important for a safer and better navigation experience. 2. Download AvMap Suite on your PC and install it following the manual instructions (this opertaoin is necessary only the first time). 3. Disconnect the EKP V from the power supply. 4. Connect the EKP V the PC through USB. 6. Follow the Suite Manual the instructions to set the AvMap Suite and make your first EKP V Software Update. After the software has been updated, restart the Suite. Connect your Geosat to the PC periodically, to keep it up-to-date! 6. Is it possible to change the ALTITUDE of a waypoint inside a flight plan? Starting from the Map View, click the FP button. On the FP page, scroll the menu until you reach the Waypoint you need to change/edit. Click the joystick to open the WPT Menu. Select ALTITUDE to change the quote of that Waypoint. If the VP Graph is active you will see the same graph changing in real time. 7. Which is the operating and storage temperature range for EKP V? IMPORTANT: The maximum temperature for the storage of the product is intended WITHOUT BATTERY. The battery MUST BE REMOVED if the temperature exceeds 60 ° C (140 ° F), because it could explode. First of all verify that the led on the 220V Usb charger or the led on the cigarette cable is working. the unit on external power. Once the unit is running re-insert the battery. 9. How to feed EKP V? EKPV can be supplied using the 12V cigarette lighter cable, provided in the package, or by the power supply wall cable, which is also provided. IMPORTANT: The voltage must not exceed 5.5V. To connect the power cable, find the slot on the top of the browser and insert the cable with the adhesive facing up. To turn EKPV on, hold the PWR key for a couple of seconds. If properly connected, on browser’s display appears an icon that indicates the battery charging status. If properly connected, on the display of the navigator an icon appears that indicates the battery charging status. • To get the most from Li-ion battery, we recommend first a full 12 hours charge. • For charging, use only the power adapter and cable provided in the package, to avoid damaging the device. For charging the battery of your navigator, use only the power adapter and cable provided in the package, to avoid damaging the device. A full charge takes about 6 hours. For the battery charge to be activated, the device should be in stand-by mode( sleep mode ), just turn it off normally but LEAVE the button before the 3 seconds countdown. If the device is ON during the charge, the charging time of battery will take about 12 hours. 11. How do I start my new EKP V? First you should always check the structure of your browser on page x in the user manual. To turn on the EKPV hold the PWR key for a couple of seconds. 12. How can I set the brightness? To optimize the reception of the GPS antenna is recommended to open and lift the cover and make sure it is positioned as parallel as possible to the sky. The receive status is visible on all pages, including the map, through the icon with the satellite. Three green bars indicates an excellent reception, and the icon with a red bar and the triangle with the CAUTION signal indicates that the signal is absent. The AvMap navigation software only works with AvMap original memory cards. AvMap Memory cards cannot be duplicated or modified, if your memory card is damaged, please contact AvMap technical support. 15. Is AvMap Suite compatible with MAC or Linux? 16. How can I calibrate the A2 ADAHRS compass? ATTENTION: Make sure to properly calibrate attitude before proceeding with Compass Calibration. the magnetometer calibration data is invalidated after every attitude calibration procedure (full attitude calibration and horizon alignment). 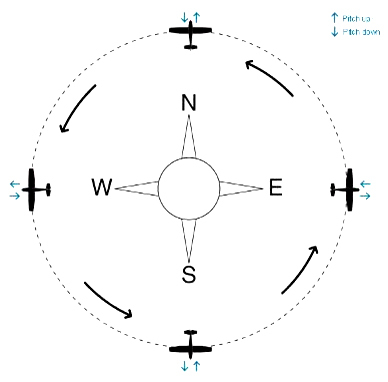 The Compass Calibration procedure must be executed in-flight and requires to steer the aircraft in 4 directions and execute some pitch up/down maneuvers. The total duration for this procedure is about 4 minutes. Press MENU > TOOLS > EFIS > Compass Calibration. The screen switches to Primary Flight Display mode, where a flight director (a magenta frame) shows the maneuvers to perform. Follow the magenta frame until the procedure is finished. 2. Turn left to heading 270° by performing a standard rate turn (the proper bank will be shown by the flight director). The target heading for each step is shown as a magenta reference inside the heading tape. 4. Repeat steps #2 and #3 for headings 180° and 090°, until reaching again the original heading. 5. At the end of a successful calibration procedures the compass instruments is enabled (i.e. red cross removed) and the HSI instrument correctly shows AHRS as data source, meaning that magnetic compass data are now available to the EFIS system. Note: it’s not required to start the procedure heading north. Any starting direction is acceptable. Note: If the calibration fails or the compass indicator is not enabled, repeat the calibration procedure. If several calibration attempts fails review the installation location of the A2. Magnetic disturbance could be too high in the selected area. 17. Where should I install the A2 ADAHRS module? The small and light weighted ADAHRS module easily fits into the aircraft as it can be installed in any orientation (a proper calibration procedure must be performed). It is suggested to install the A2 aligned with the aircraft longitudinal axis, as it simplifies the attitude calibration process. - In a location clear of strong magnetic or electromagnetic disturbances as much as possible. - Avoid installing the A2 ADAHRS near electronic equipment (other digital EFIS, radios, transponders, etc), AC or variable DC cables, alternators, electrical motors, ferrous materials, etc. In such cases the proper behavior of the compass is not guaranteed (i.e. the compass may be crossed as “out of order” or may give erroneous indications). Hint: Use a hand-held compass to verify the magnetic disturbance in the area selected for installation. If the needle shows relevant changes or unstable indication, the location is not suitable for installation. Make sure to perform this test with all on-board electronic devices switched ON. A2 ADAHRS is aligned with the aircraft longitudinal axis, is not aligned with straight & level flight attitude but pitch and roll offsets are present: a Horizon Alignment procedure is required. Full Attitude Calibration procedure is required. Press MENU > STRUMENTI > EFIS > Horizon Alignment. Press MENU > STRUMENTI > EFIS > Full Attitude Calibration. 1. Select if the maneuver will be pitch up or down. For tricycle aircraft the pitch up maneuver can be performed by pushing the tail (pitch up), while tail draggers will execute a pitch down maneuver by raising the tail. 2. Reset A2 ADAHRS calibration data; select Start. Wait until the reset phase is completed. 3. Set the aircraft in level and straight flight attitude by using jacks or blocks (or by asking a friend to push or lift the tail and hold). Press ENTER (joystick click) to record the sample in level & straight flight. 4. Set the aircraft in a pitch up (or down) attitude and press ENTER to record the pitch up/down sample. WARNING: be very careful not to change the aircraft heading while performing the pitch up /down maneuver. 5. Set values to A2 by pressing ENTER. Wait a few minutes for the sensor to stabilize and realign. If pitch and roll after a few minutes are still not aligned fine-tune pitch and roll offset by executing a Horizon Alignment procedure. 18. How can I export a flight Plan from IFlight Planner to EKP V ? iFlightPlanner and AvMap officially announced the addition of compatible technology that will allow pilots the ability to quickly and easily export flight routes planned using the iFlightPlanner.com Flight Wizard™ to their AvMap GPS navigator. 1. Plan your route by using the web-based iFlightPlanner Flight Wizard™ and Click “Export to AvMap”. 2. Connect the EKP V to your computer and once the AvMap Suite loads, click “Explore Device”. 4. Click “Import to EKP”. 5. Disconnect the EKP V and then select your desired flight plan from the device’s “Flight Plan” page. Please visit www.iFlightPlanner.com/AvMapto create your iFlightPlanner Premium account. iFlightPlanner memberships start at just $9.95/month and include access to iFlightPlanner’s cloud-based flight planning technology, U.S.-based aeronautical charts and the newly released AvMap integration. 19. Can the Docking Station overfeed my EKP V ? The EKP V switches on automatically everytime the aircraft engine is started: this is the normal EKP V behaviour when you switch it off using the power button. The Docking Station includes a protection circuit to protect the system form overfeeding. We suggest anyway to avoid high electric discharge , e.g. a voltage 10 times ahigher than the allowed 12-35V could damage the system hardware. To avoid this you may want to add a switch between the docking station and the aircraft electrical system. 20. AvMap Suite: I see the green rosette and I have right to a free map update ( New Map Guarantee), but after clicking on download, the new map does not appear in the right column ( purchases) of the Suite’s Map management page. This may be due to the fact that there is a new version of the AvMap Suite available, please check the upper bar on the Suite Home page, and make sure you have downloaded and installed the latest Suite version. An important update is the one introduced with Suite Version 1.3.41R (Windows) / 1.0.41R (MacOS) released the 06/10/2013. At the end of the procedure the maps will be correctly displayed in the right column (purchases) of the Suite’s Map management page, and they could be loaded on the navigator. 21. AvMap Suite: When I connect the EKP V to the PC and open the AvMap Suite, I see a yellow status light next to the preloaded map. What does it mean ? - Yellow: it is not possible to determine the validity of your map because the navigator has never been used. Please use the navigator first , getting a GPS fix position at a certain speed and then re-connect the EKP V to the PC. 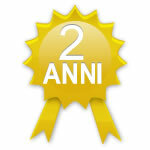 Beside the status, you may see a green rosette meaning you have are guarantee for free the latest released map. In facts, when you buy a new AvMap navigator, you get the New Map Guarantee: that means you are guarantee for free the latest released map. You have 30 days from the first usage of your new AvMap navigator (from the first acquisition of satellites at a certain speed) to download the Suite and check if a new map is available for you for free! You can download only one free map for your navigator. If the navigator has never been used it is impossible to determine the validity of the map, thus the yellow status map appears. 22. What databases are used by the EKP-IV,EKPV/Geopilot ? - Letist Database (Czech Republic and Slovakia) NEW from Cycle 1208 ! 23. How can I export a flight Plan from RocketRoute to EKP V ? 1. Compile a flight plan on rocketroute.com, save and Export. 2. Select AvMap format and Save the file to a known location on your PC. 3. Connect the EKP V to you PC and execute the AvMap Suite (it should start automatically when the device is recognized). 4. Click Explore Device. This window allows transferring personal data between the EKP V and your PC. Select Flight Plan from the list on the right. 5. Click Add and then select in your PC the flight plan file exported from RocketRoute. 6. Select the flight plans from the list on your right and Click Import to EKP. The imported flight plans will be listed in the left column. 7. Disconnect the EKP V and wait for the software to start. Open the EKP V FP page to find the Flight Plans. 24. How does Jeppesen database and Terrain Awareness compare to Garmin's Jeppesen, obstacle and terrain databases? The data are same, obtained by Jeppesen. 25. Is EKP V is compatible with Info Traffic devices? EKPV is compatible with Zaon devices for viewing air traffic. 26. Where can I get my AvMap navigator repaired? If your AvMap Geosat doesn’t work properly, please contact the AvMap Technical Support team by e-mail on info@avmap.it . Firstly you will be helped to solve your problem remotely by following standard technical support procedure. If this attempt is not successful, you will receive a Return Machine Authorization (RMA) in order to send the unit (or its components) to our offices and get your device repaired. Verify your registration ( your data and the details of your navigator ), if you are not registered yet please insert your datas on www.avmap.it - Support - Registration. This procedure is mandatory to ship the device in assistance if you will need.